The work of Jim Bachor is truly special because it's not only creative but it also serves a practical purpose. 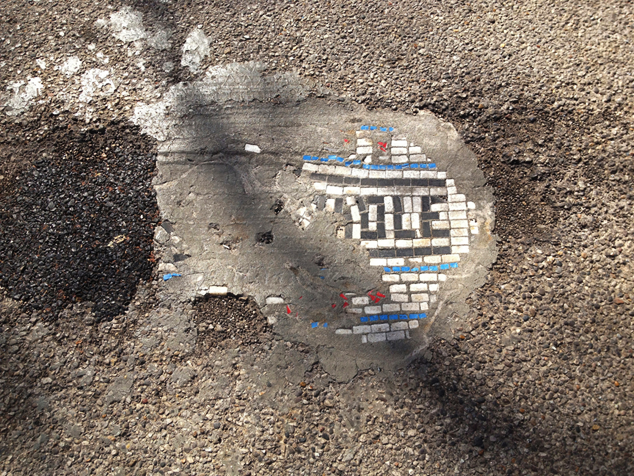 Did you know that there were around 600,000 potholes in Chicago last winter? In response to that staggering number Jim Bachor took a common nuisance and made it art. 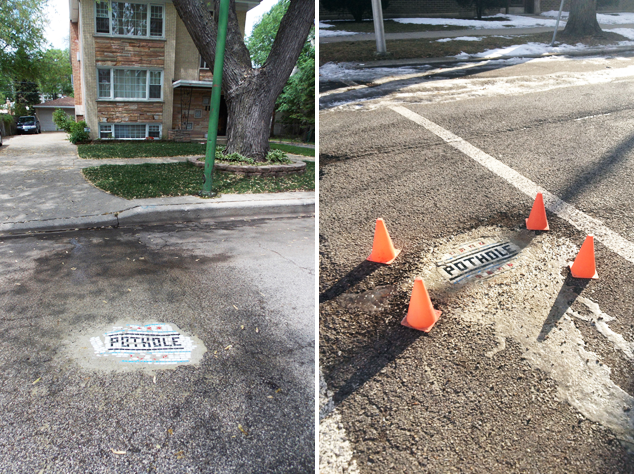 Not only did he help solve some of the city's pothole problems, but he also made it aesthetically pleasing. 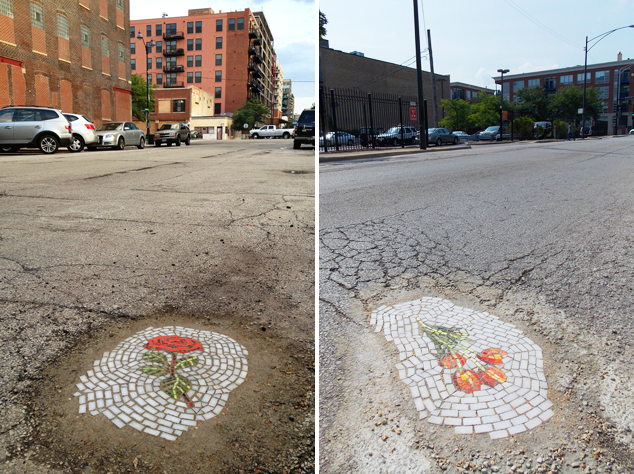 Instead of crossing the street and stepping into a pothole, you walk or drive, over a beautiful mosaic. 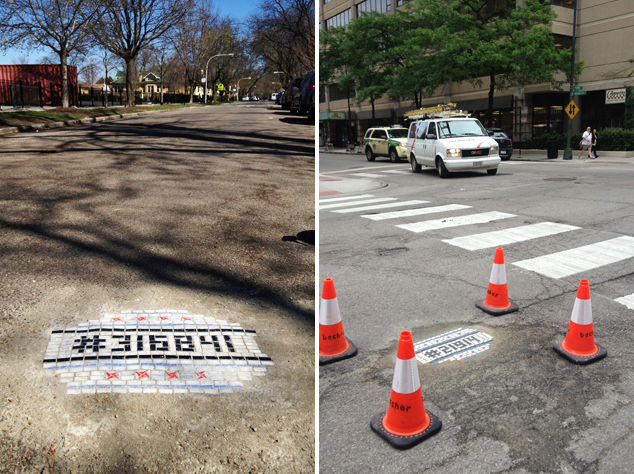 My favorite from this series are those mosaics that mock what they are covering, with the word, "pothole" written across the surface. I particularly love that the works can be found on an ordinary street and not in the galleries of a museum. Interactive art, that makes you think and consider what it signifies, is my absolute favorite type of art. *All photographs taken from colossal.com. I agree. Accessible art for the masses. You gotta love it. We've had a lot of @invaderwashere's work popping up in Hong Kong.